These solder type Decora wall plate inserts are used to cleanly bridge between in-wall cable runs and their origin and destinations. This particular insert converts in-wall wiring for transmitting XLR audio to devices utilizing XLR style audio inputs and outputs. 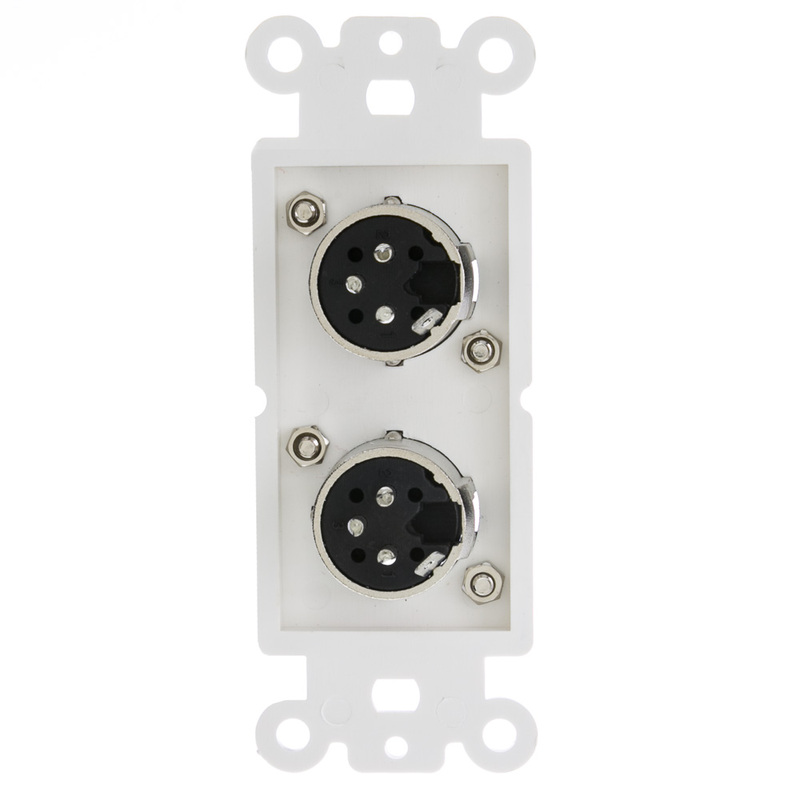 The back of the XLR connection is solder based so you will need to be able to solder your in wall wiring to the decora wall plates connections.